BalletBox_NicoleBJ: THE SAINT PAUL BALLET PROJECT: PORTFOLIO: Caroline Yang. Photojournalist based in Minneapolis / St. Paul, MN. Contact caroline@carolineyang.com. 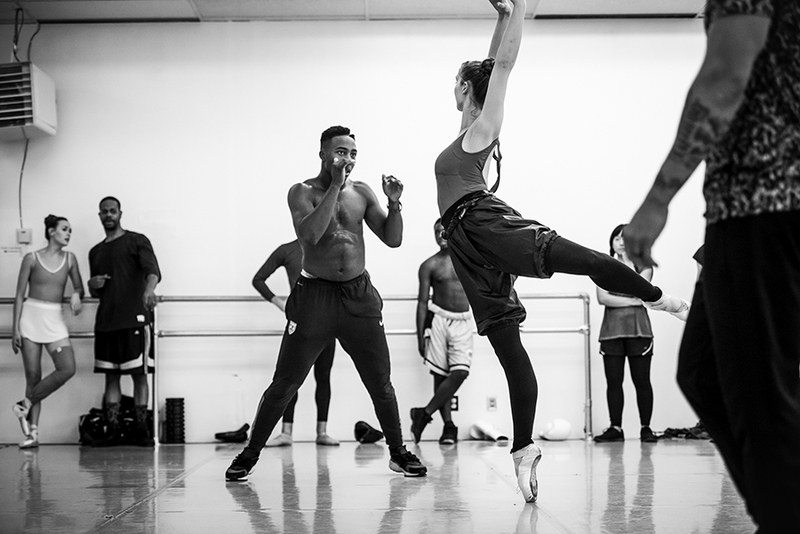 BJay Johnson, a boxer with Element Gym (L) and Nicole Brown (R), Company (professional) dancer at St. Paul Ballet, rehearse in studio for an upcoming performance on June 18, 2017 in St. Paul, Minnesota.